What Should You Know When Installing Your Brand New TV? SEE MORE: What Are the Best Speakers for Your Home? What is the Best Type of TV Mount? There are a variety of mount options for your television depending on where you want to install it and how you plan to use it. Since most LCD / LED TVs have few glare issues, they can be flat mounted while old plasma TVs benefit from titled mounts. You may also need a tilted mount if you want your television more than four feet above the ground, so you can still watch comfortably while sitting or lying. 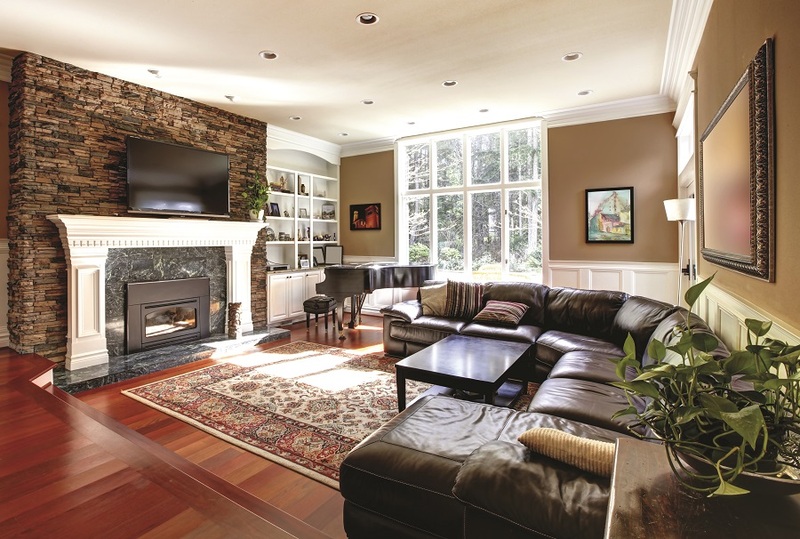 For multi-purpose rooms, a full motion mount lets you to rotate and tilt your TV. Can You Link the TV to a Blu-ray player, Cable, Etc.? What do you want to watch on your brand new television? Connect it to a home audio video system to add multiple source options. You can watch Blu-rays, satellite or even a streaming service like Netflix or Amazon TV. We offer distributed video options that allow you to hide away sources in an AV closet and use matrix switchers to transfer your audio/video signals to your bedroom, family room or even patio. Can Wires Be Hidden During Installation? One of the biggest benefits of working with a professional is getting a clean installation. There won't be a clutter of wires behind the TV or running across the room. We work with you to pre-plan your layout, so all wiring remains hidden behind walls. We can also cut down on your wire clutter by diminishing the number of sources in the room through your home audio video system. Can You Offer a Convenient Control Option? ProFocus Home Entertainment partners with ProControl to create an intuitive user interface to control your home audio video system. ProControl remotes combine the modernity of a touchscreen display and the traditional feel of hard buttons to give you full control over all your AV equipment. We can even include your lighting control in the system, so it’s easier to create the right viewing experience in any room. Why Should I Work With a Professional Contractor? In the always-evolving world of home entertainment, it’s important to get someone that knows how to get the most out of your current and future technology. For example, we ensure your cables have the latest HDMI technology, so your system is prepared for upgrades. A professional-grade installation also provides a secure mount for your television to prevent dangerous accidents. Most importantly, you have someone you can call to fix any problems or upgrade your system in the future. Don't hesitate, contact ProFocus for your next television installation!